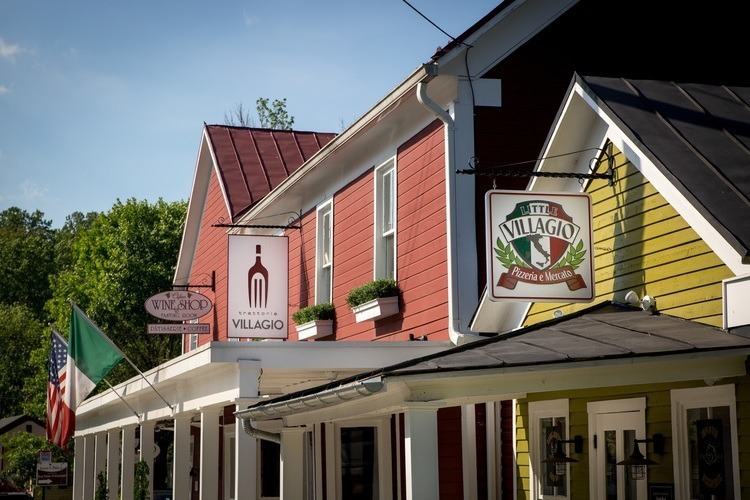 Trattoria Villagio in Clifton, VA, serves up delicious Italian food with a heaping side of charm and ambience. 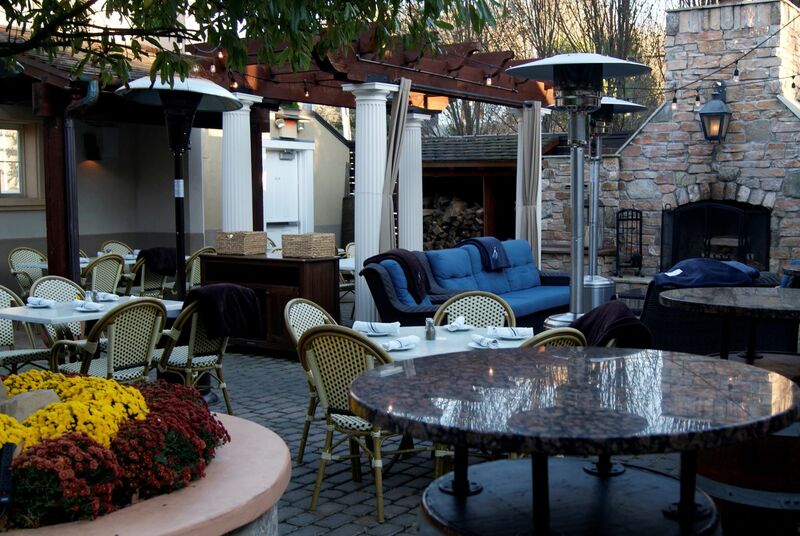 From the wood-fired pizza oven to the outdoor winter lounge, there are plenty of things that set Trattoria Villagio apart from other restaurants. Nestled between Centreville, Fairfax Station, and Manassas, downtown Clifton is tiny. Blink-and-you'll-miss-it kind of small. There are just a few eateries in town, and they are ALWAYS packed. We headed to Trattoria Villagio to show you why. "We like to focus on local and seasonal ingredients," Chef Justin Gudiel explained. 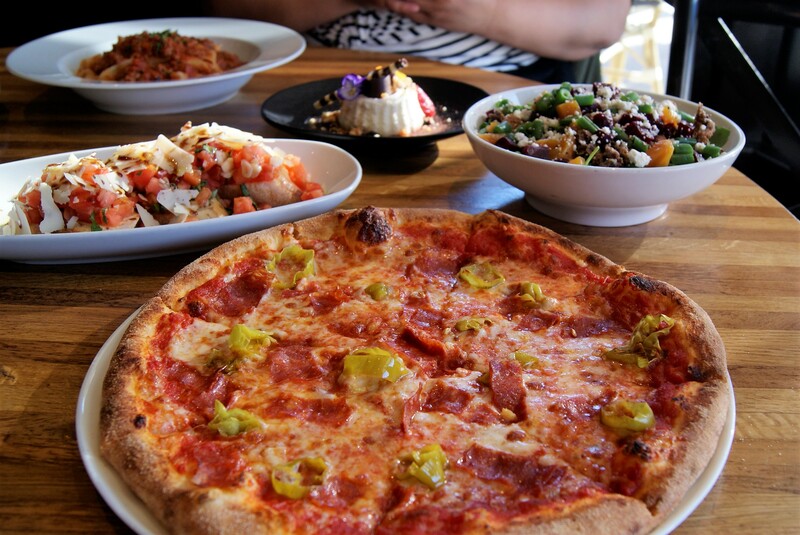 "We put an Italian twist on everything and try to create a unique experience." When asked what he would recommend to first-time visitors, his answers were surprising. "For brunch, the chicken and waffles. The breading, the chicken -- we use Italian spices. It's a unique way to prepare it. For dinner, people really enjoy the Lobster Ravioli. It's made with 100 percent Maine lobster. We also do Branzino, a Mediterranean sea bass that we wrap in parchment paper with clams, Italian herbs, shrimp ..."
At this point, we were ready to get to tasting. Chef Justin chose this pizza for us, and the simple combination of roasted garlic, hot soppressata, and pepperoncini was really outstanding. Everything about this pizza was just right: the crisp/tender crust, the tangy sauce, and just enough cheese to bring it all together. This classic version is piled high with juicy tomatoes, shaved Parmesan, and a balsamic drizzle. Their signature appetizer features crispy fried shrimp in a creamy, spicy sauce. Delicious! Roasted red and golden beets are served on a bed of peppery arugula and green beans, then simply dressed with a light vinaigrette, goat cheese crumbles, and candied walnuts. This is the kind of salad you could eat every day. 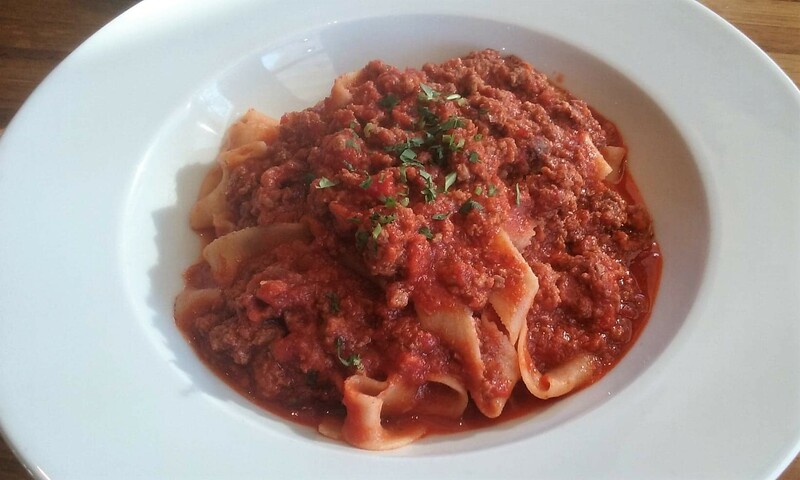 Tender housemade pasta and a rich hearty Bolognese really hit the spot. When you want an excellent red sauce, you can't go wrong with this simple dish. 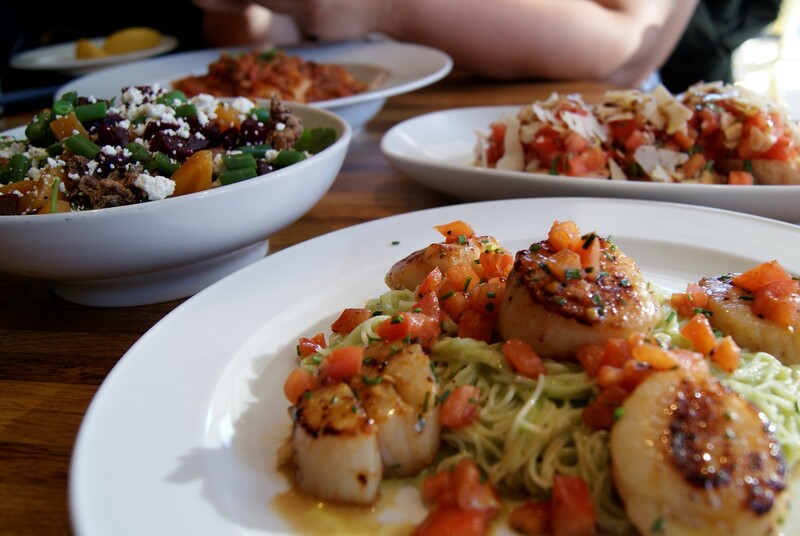 In this elegant dish, beautifully seared scallops perch on top of capellini with a delicate, creamy pesto. 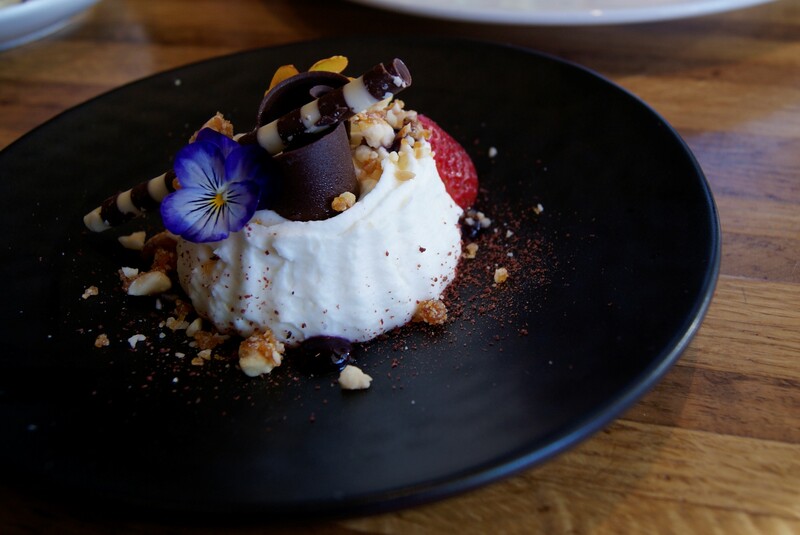 Chef Justin will often feature special desserts using seasonal ingredients. For this visit, it was a white chocolate mousse with toasted hazelnuts, chocolate shavings, and a dusting of cocoa. Not only was it beautiful, it was the perfect light, sweet ending to our wonderful meal. In my opinion, Trattoria Villagio is a perfect place for date night. Cozy and romantic, you can go from the dining room to enjoying drinks by the fire outside. General Manager Paul Myers showed us around the outdoor piazza, a picturesque courtyard that houses their winter lounge. Don't worry: they have a fireplace, heaters, AND afghans for those chilly nights. Families would also love this restaurant for brunch or a big pizza and pasta night. Right now, they have a holiday special on gift cards: when you spend $100 on a gift card, you get a bonus $20 card. Score! To view the menu and learn more about their private dining space or special holiday menus, visit the Trattoria Villagio website. Disclaimer: We were treated to a wide range of dishes by the generous restaurant management. They wanted OCN readers to get a full picture of the types of food they offer. All of these dishes are exactly as you would get them when you visit Trattoria Villagio, so make sure you go hungry! 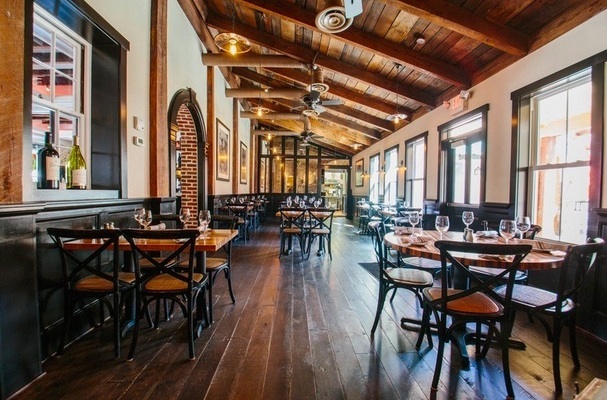 Have you been to Trattoria Villagio? What are some of your must-have favorites? Tell us in the comments! If you’re looking for Southern comfort food from scratch or a great place to watch a game, check out Southside 815 in Old Town Alexandria. Here's our review!